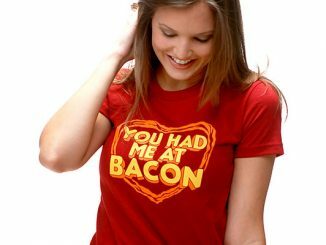 I’m crazy for bacon. 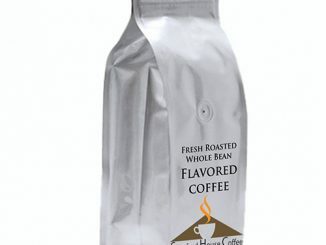 If I could have it every day for breakfast without booking a one way ticket to the morgue (knock on wood), then I would. We all know it’s not the healthiest food there is, but it sure is delicious. 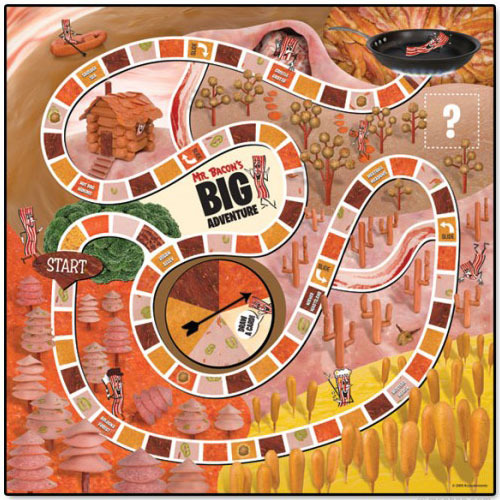 So take your addiction with bacon on to another level by playing a game that’s been inspired by it: the Mr. Bacon’s Wild Board Game. 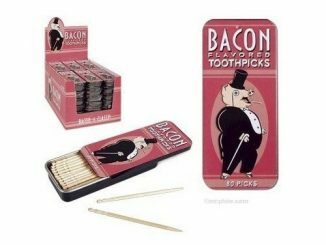 You can pick your teeth with Bacon Flavored Toothpicks, you can add a bit of bacon flavor to every other thing you eat by dipping it in Bacon Gravy, you can even calm yourself by lighting up some of these Sizzling Bacon Candles while you take a long bubble bath. 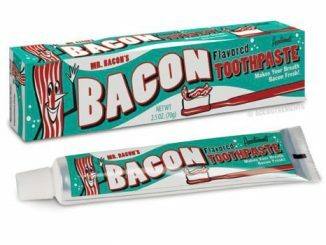 So how else can you enjoy bacon without having to sink your teeth into some? 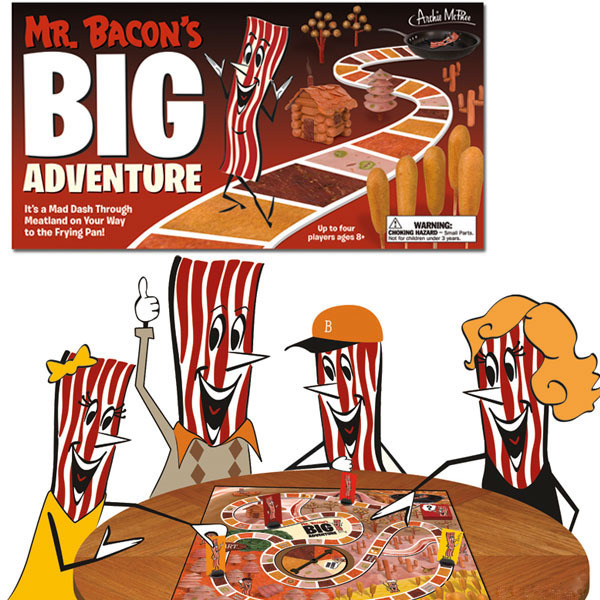 By playing Mr. Bacon’s Wild Board Game and playing through a scrumptious-looking game board that’s filled with meaty fun and yummy adventures. 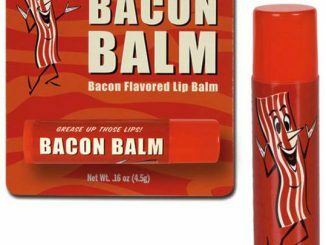 Forget about Candy Land; I’m playing this bacon land game instead. 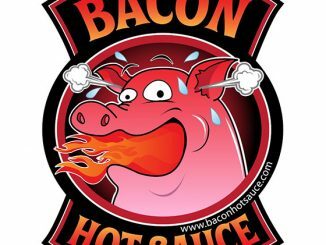 Travel the world of fine meats and sausages with Mr. Bacon in a wild dash to get to the frying pan. The world of Meatland is vastly better than any other world. There are fantastical wonders like Meatball Meadows and horrifying depths like Vegan Alley. 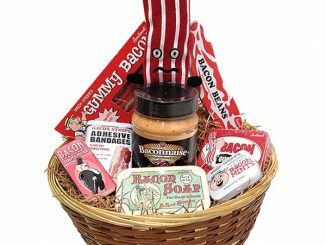 You’ll travel far and wide along the Meaty path made with blocks of Beef Jerky, Olive Loaf, Pepperoni, and Corn Dog. 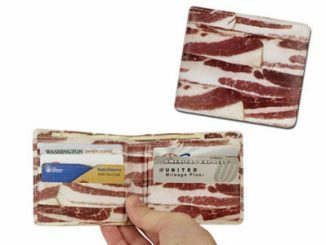 I always wondered where all these strange and exotic meats came from and now I just can’t wait for my next trip to Meatland. The most promising locales, all with the enticing scent of lunch. 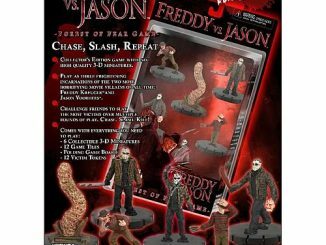 You can even invite three of your friends to play along since it comfortably plays four people. 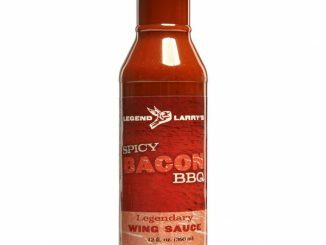 It’s time to give it all up and bring home the Bacon. 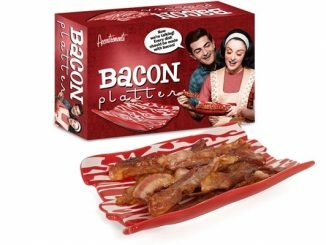 Includes: Gameboard with attached spinner, 4 Bacon Strip playing pieces, and 24 cards. 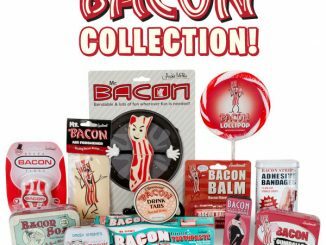 The Mr. Bacon’s Wild Board Game is available from Stupid.com for $22.99, Thinkgeek for $19.99, and at Archie Mcphee for $19.95.